Read To Succeed Project was a five-year project funded by the U.S. Agency for International Development (USAID) in partnership with the Government of the Republic of Zambia (GRZ). With Zambia exhibiting the lowest student achievement scores among the South African Development Community  SADC, RTS took a whole school, whole teacher, whole child approach to ensure that Government Basic Schools become centers of learning, care and support providing children with opportunities to learn and flourish. RTS aimed to improve early grade reading through school effectiveness in Government primary schools in six provinces: Eastern, Luapula, Northern, North Western, Western and the newly-created Muchinga. The USAID/Georgia Primary Education Project (G-PriEd) is a 5-year (2011-2016) $8.7 million pilot project designed to provide comprehensive assistance to the primary education system to improve reading and math competencies of Georgian and ethnic minority students of grades 1-6 in over 100 schools. This project, implemented by Chemonics, is in line with the government's reforms to change the education system from a teacher-centered model to a student-centered model. In collaboration with the Georgian Ministry of Education and Science (MES), GPriEd aims to strengthen key components of the education system through teacher training, in-service professional development, and classroom diagnostic assessments, provision of instructional resources and greater accountability and transparency in schools as well as greater community and public engagement. GPriEd will work in approximately 100 schools in its pilot phase and approximately 200 schools in its expansion phase to introduce, assess, and finalize its interventions as they relate to improved reading and math outcomes for students in grades 1-6. The Measuring Impact of Stabilization Initiatives (MISTI) project was awarded to Management Systems International (MSI) on March 14, 2012 and concluded on September 30, 2015.USAID/Afghanistan’s MISTI ranks as the largest and most comprehensive trends analysis and impact evaluation of stabilization interventions that the U.S. Government has ever undertaken. It is also the only one to date subjected to peer review; in addition, three peer review papers for publication in leading journals and a presentation for the 2015 annual conference of the American Evaluation Association are in preparation. This MISTI survey data file contains the combined response data from five semi-annual iterations or “waves” of surveys conducted from September 2012 through November 2014 to determine whether USAID project activities caused changes in stability and resilience at the district and village levels.At the start, MISTI compiled a baseline stabilization and impact evaluation and survey. For the five waves of surveys, each of which was conducted over several months, a total of 190,264 individual interviews were undertaken in 5,093 different villages across 130 districts of the 23 provinces where stabilization initiatives were being implemented or considered. 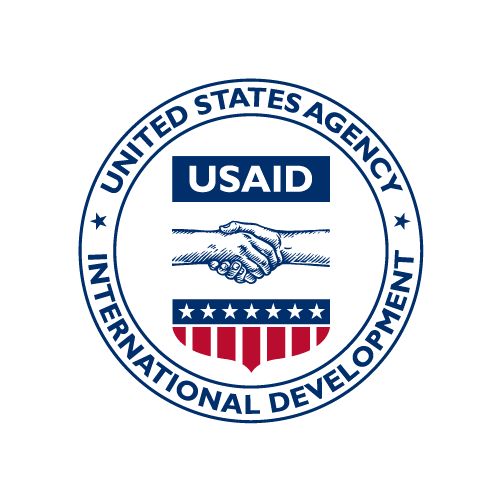 These data were compiled into one file to facilitate easy access for international development practitioners, researchers and other interested parties in accordance with the USAID’s Open Data Policy. As part of this process, village names and locations have been replaced with unique village identifiers to ensure the safety of Afghan stakeholders. This preserves a researcher's ability to access granular data and see trends at the village-level, but prevents data consumers from attributing responses to a named Afghan village.The datasets supplied here are in CSV format. In addition to the response-level dataset (MISTI_Survey_Data), we are providing a village-level dataset (MISTI_Village_Data). Each row of this dataset contains data from one unique village surveyed by MISTI in Waves 1-5. The dataset is in wide format. Each variable is identified by a wave number and a proximity to the village. Data include village demographic characteristics, violent incident counts, stabilization and NSP project activities, and perception indicators from individual survey interviews aggregated to the village mean. These data were analyzed for the MISTI impact evaluation of USAID stabilization programming in Afghanistan, 2012-2014.Codebooks are supplied for each dataset as is the final survey instrument used. By way of supplement, we also provide the original SPSS files, which may speed analysis for certain researchers.